Schedule a meeting today with our cybersecurity experts to uncover the advanced threats risk exposure of your organization, including malicious URLs and attachments. 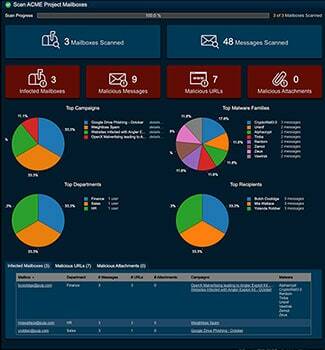 The Email Threat Discover assessment is easy to set up and unobtrusive to your network (see deployment requirements). You will get an audit outlining the state of your current security defense vulnerabilities. We are delighted that you have reached out to our experts. You will receive an email shortly with more information.